If you wish to focus on your e-learning website rather than on technical minutiae, Tierra Hosting is the right place for you. A 1-click script installation is offered at signup. You can get a eLearning hosting plan for just $3.25 a month, together with a new domain. 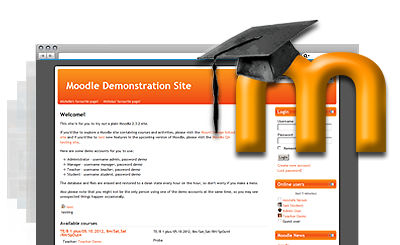 Moodle™ is a trademark of Martin Dougiamas and is not connected with Tierra Hosting. Online Teaching hosting made simple with Tierra Hosting! Tierra Hosting fulfills all requirements for hosting online teaching web sites. Tierra Hosting offers an outstanding customer support service.